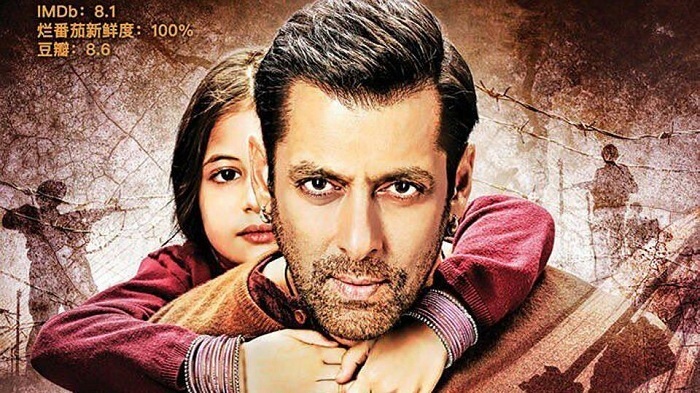 Bajrangi Bhaijaan 3rd Friday (15th Day) Collection in China. Holds Well Again. Bajrangi Bhaijaan might have another good run in China as film has entered 3rd week. Film has hold extremely well on 3rd Friday (15th day). Film is expected to end the day 15 with a business of $0.9 million. Means, drop from previous day (Day 14) is approx 20% which is very much acceptable. BB showings is reduced significantly as there are multiple new releases. Film showings for Day 15 is around 12000 which is much less in comparison to Day 14 which was approx 26500. However, since BB has hold extremely well on 3rd Friday, we expect showings to increase as film penetrates more into the week. BB total business at the end of Day 15 is expected around $32.08 million. That is whopping INR 208.3 crores. BB lifetime business right now is trending towards 250-275 crore mark. Film still has chance of touching 300 crore and for that it needs good pick up again on 3rd Saturday and 3rd Sunday. Fri -> $0.9 million (expected). Grand Total -> $32.08 million (INR 208.3 crores) expected. Chale the Dangal ko beat karne..
Aur jyada screen mang rahe hai..
Dangal and SS ka 15th day ka collection dekho hosh udd jayenge..
Dangal ne toh century mari thi 2 weeks ke baad..
MEGASTARDOM and Dangal is d best movie of this century after 3 idiots..
Top 3 movies of This century..
Aab koi excuses nahi bache sallu fans ke pass.. Beat karna chodo Dangal ka 1/4 the bhi nahi kamayegi..
Aab Sallu fans ko sharam ke mare dub Jana chahiye ..
Kitne excuses Doge Bhai .